This ultra stylish recognition award perfectly combines a clear glass and smoked glass triangle that are fixed together with 2 chrome pins. 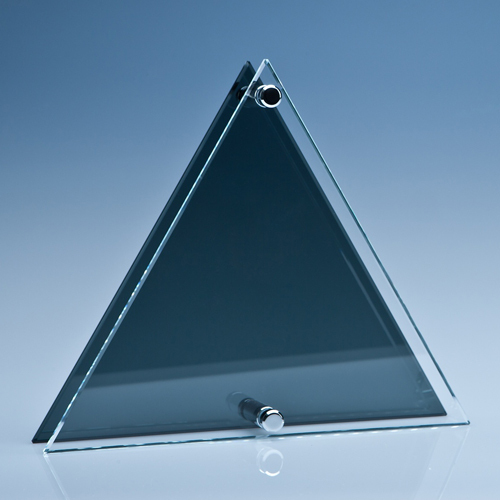 The engraving on the clear glass triangle stand out prominently against the smoked glass triangle that is mounted behind it. There is a large engraving area that can be personalised with any crest, logo or wording to mark a sales achievement, sporting success or just to acknowledge a job well done.